Doug Wolf is Chief Executive Officer at Select International, a Pittsburgh-based assessment technology firm dedicated to developing employee selection and hiring assessment solutions that help companies identify, select and retain top talent. 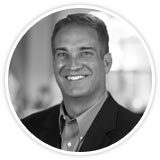 Doug works widely with organizations that have large-scale, national and global staffing requirements. His expertise include competency-based job analysis, selection system design, validation, applicant sourcing, automated testing, virtual job simulations, structured interviewing, applicant tracking, turnover/retentions analyses, reducing risk in the selection process, OFCCP and EEOC compliance reporting, and leadership coaching. Doug has worked on some of the largest companies in North America such as, Toyota, Global Foundries, and AK Steel, and has designed, implemented, and managed staffing systems for hundreds of clients. Doug’s vast experience spans a wide variety of industries, including chemical, pharmaceutical, high-tech, metals, process manufacturing packaging, distribution, utility, automotive, retail, call center, service, and sales. Doug also has significant involvement in meeting facilitation and leading projects that have multiple stakeholders.